Dago Mining is the first self-sufficient ecological mining farm, we don’t depend on energy companies, we produce energy with a solar concentration thermal photovoltaic system and we have an ecological heat and energy storage, the system made of salt water batteries, so we can mine even at night. This solution with a very low maintenance cost keeps us away from the future increase in energy costs, keeping the cost at around 1 USD / kW per month. An Immersion Cooling system for hardware increases performance and service life, saving up to 90% of cooling energy costs. In this way, we can use more powerful and performing hardware, this is unthinkable under normal conditions for high energy consumption. 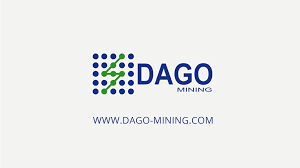 The high profitability of Dago mining is based on the low cost of energy, over time, on mining and on HashPower rental, three solutions that also benefit the ICO investors. Net profits are distributed as a percentage to holders of tokens sold in the ICO, more Tokens means more percentage of profit. 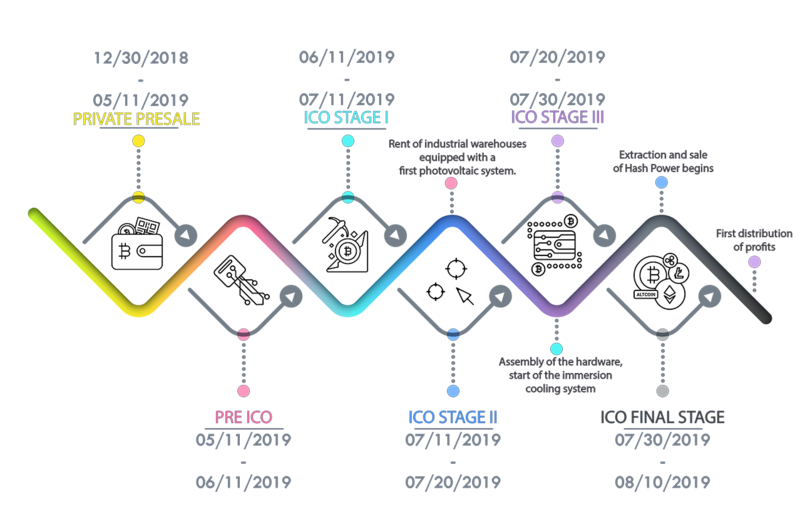 At this moment we are in the private sale phase, with a bonus of up to 70 %. A monthly reinvestment plan by Dago mining in HashPower with ever-new and highly performing equipment ensures a steady increase in ROI for investors. We invite you to read our White Paper for more detailed information. FRENELL offers a Concentrated Solar Power (CSP) technology based on Linear Fresnel collector principle. Parallel rows of flat mirrors are mounted onto a sheet metal base structure. These lines reflect direct solar radiation onto a stationary receiver unit. Molten salt is pumped through the absorber tube and heated up to 550°C by the sun’s concentrated energy. The heat is transferred from the solar field to a Thermal Energy Storage system. FRENELL established automotive manufacturing techniques to produce its primary reflectors and receivers in large volumes in fully automated in-house production lines with 100% quality control. The manufacturing facilities are mobile, to realize on-site production – minimizing transportation cost and increasing local content. FRENELL’s technology competes with fossil-fuel power plants in regions with high solar irradiation. The capability of providing Thermal Energy Storage leads to high capacity factors and grid parity which is of prime importance for energy providers and major industrial consumers. Therefore, FRENELL’s technology can provide base load electricity and demand-responsive power input. The technology can be used in greenfield projects as well as to extend new or existing fossil-fired power stations. Through dedicated hardware and software, we intend to develop a flexible structure capable of modifying the extraction of cryptocurrencies based on the profitability of the moment. The biggest producers of miners are also the biggest cryptovalute extractor in the world, they distribute the equipment very slowly, aware that this will increase the difficulty of mining in particular for them (Bitman etc. ), in 2018 the Internet group GMO produced and launched a 33nm 7nm ASIC chip with a consumption of 3.4Kw. By assembling the equipment ourselves with the help of our partners, we have the possibility to choose the most efficient components on the market with a higher renewal speed at lower costs, already today we have a 44Th/s technology that consumes 2.1Kw, the use of renewable energy combined with the accumulators makes us independent and highly remunerative. We are not subject to increases in energy costs or momentary availability. The industrial machines created until now become obsolete within 3-5 months, the delivery times of these machines are very long (even months). Energy consumption and equipment renewal are the biggest costs to bear. By assembling the equipment by ourselves, we have the possibility to choose the most efficient components on the market with a faster renewal speed at lower costs, the use of renewable energy combined with accumulators makes us independent and highly remunerative. This will give us the opportunity to offer a service with free power upgrades in order to protect the profitability of every person who decides to undertake a new perspective of financial realization with us. Even those who don’t have computer skills must have the possibility to obtain benefits from technology.